Timonium, Maryland: Gemstone Publishing, 2007. Hardcover. Fine/Fine. 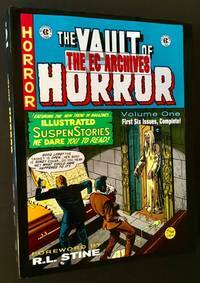 An immaculate copy of the 2007 1st thus, which constitutes Volume One -- Issues 1-6 of "The Vault of Horror", from the EC Archives. Tight and Fine in a crisp, Fine dustjacket. Quarto, top-quality color reproduction thruout. Foreword by R.L. Stine (of "Goosebumps" fame). Bloomington, Illinois: McKnight & McKnight, 1936. Original wraps. Very Good +. 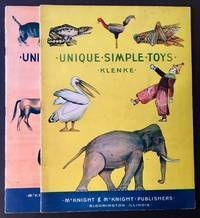 Charming vintage toy catalogues from McKnight & McKnight of Bloomington, Illinois, issued in 1935 and 1936 respectively. Both volumes solid and VG+ in their wonderful pictorial wrappers, with very light, forgivable soiling at the panels. Tall quartos, internally immaculate, with no writing or markings of any kind. 1990. Cloth. Fine/Near Fine. 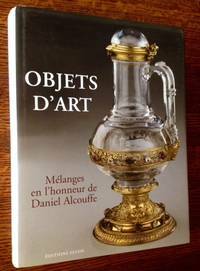 A near-pristine copy of this impressive monograph on Fulper Pottery. 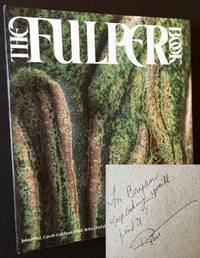 INSCRIBED BY ONE OF THE BOOK'S AUTHORS --ROBERT DEFALCO-- on the verso of the front free endpaper. Tight and Fine in a crisp, Near Fine dustjaclet. Quarto, high-quality color plates thruout. New York: Rizzoli, 1979. Cloth. Fine/Fine. A pristine copy of the 1979 1st American edition. Tight and Fine in a crisp, price-intact, Fine dustjacket. Thick, square quarto, 394 pgs., 422 illustrations, 72 in color. 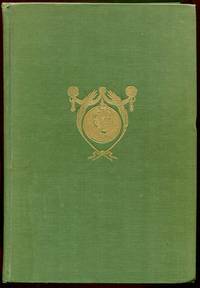 Deerfield, MA: Self-published, 1921. Cloth. Near Fine. 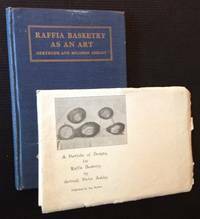 The 1921 stated 2nd edition of "Raffia Basketry as an Art". Along with the uncommon accompanying "Portfolio of Designs for Raffia Basketry", a suite of 18 additional plates, bound together by ribbon-tie and also including the publisher's original printed envelope. The book is solid and VG in its blue cloth (with light abrading to the rear panel) and the accompanying booklet is clean and Near Fine. Tokyo and Rutland, VT: Bijutsu Shuppan-Sha And Charles Tuttle, 1965. Cloth. Very Good/Very Good +. The 1965 1st English language edition. Tight and VG in its blue cloth, with light staining at the panels (which has not bled thru and does not affect the text in the slightest) in a crisp, VG+ to Near Fine dustjacket, with one small closed tear at the bottom-edge. Thick quarto, beautifully photographed in rich gravure by Kiyoshi Sonobe. 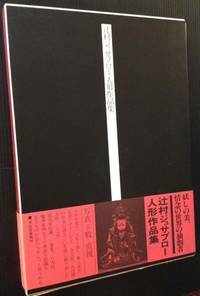 Another in Tuttle's long line of first-rate studies of Japanese history and culture. London: N.A.G. Press Ltd, 1940. Cloth. Very Good +/Very Good +. A very solid copy of the 1940 1st edition. Tight and VG+ (offsetting at the front and rear endsheets) in a bright, VG+ dustjacket, with mild darkening along the spine. Octavo, 275 pgs. Japan, 1976. Cloth. Fine/Near Fine. Remarkable 1976 exhibition of the work of master Japanese dollmaker Jusaburo Tsujimura. Bright and Fine in a Near Fine example of the glassine dustjacket. Also includes publisher's printed slipcase AND the original obi (or wraparound band). Text in Japanese. Tall quarto, lavish color and crisp gravure photos thruout. Much of the work is haunting, all of it is first-rate. London: John Baker, 1969. Cloth. Fine/Very Good +. Malcolm Chandler. 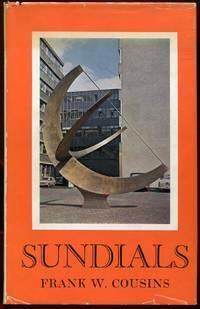 A sharp copy of the 1969 1st edition. Clean and Fine in a bright, price-intact, VG+ dustjacket, with very light chipping to the panel edges and sunning along the spine. Quarto, 247 pgs., fold-out maps at rear. New York: Robert Laurence, 1934. Cloth. Very Good. The 1934 1st edition. Tight and VG in its dark-green cloth, with bright gilt-device at the front panel and rubbed lettering along the spine. Small, neat former owner name at the front pastedown, otherwise clean as could be. Quarto, 261 pgs. Exeter, England: Webb & Bower, 1982. Hardcover. Near Fine/Near Fine. A very sharp copy of the 1982 1st edition. Clean and Near Fine in a bright, Near Fine dustjacket. Quarto, crisp color and black-and-white plates thruout. :a Chaux-de-Fonds: MIH (Musee International D'Horlogerie), 1984. Hardcover. Very Good. A solid copy of the 1984 1st edition. Clean and VG in its laminate pictorial boards, with a thin, 1" tear along the spine crown. Still though, perfectly presentable. 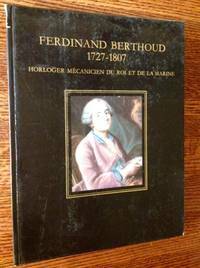 Quarto, dozens of black-and-white and high-quality color plates thruout, 343 pgs. Dijon, France: Editions Faton, 2004. Cloth. Fine/Fine. 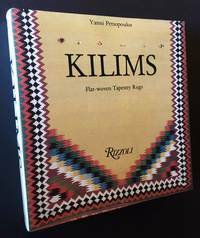 A beautiful copy of the 2004 1st edition. Clean and Fine in a bright, Near Fine dustjacket, with just a touch of creasing to the spine crown. 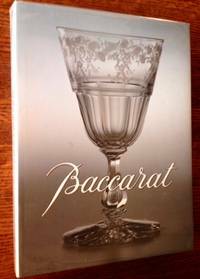 Tall quarto, 440 pgs., crisp color plates thruout. 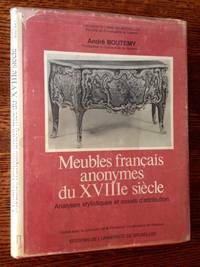 Brussels: Editions de L'Universite de Bruxelles, 1973. Cloth. Very Good +/Very Good. 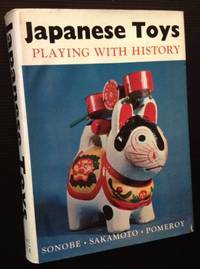 A solid copy of the 1973 1st edition. Tight and VG+ (with former owner bookplate at the front pastedown) in a bright, VG dustjacket, with light wear at the flap-folds and panel edges. Light soiling as well to the rear panel and light chipping along the spine crown. Still though, very presentable. Quarto, 260 pgs., crisp black-and-white plates. Switzerland: Les Editions de l'Amateur, 1985. Cloth. Near Fine/Near Fine. 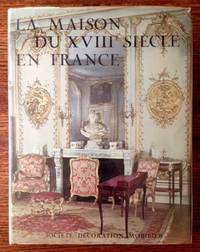 A handsome copy of the 1985 1st French edition (following the original German edition). Solid and Near Fine in a bright, Near Fine dustjacket. Thick quarto, hundreds and hundreds of crisp black-and-white plates thruout. 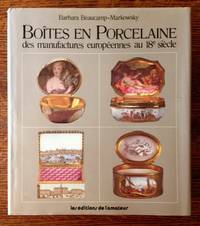 Editions de Chene, 1989. Cloth. Near Fine/Near Fine. 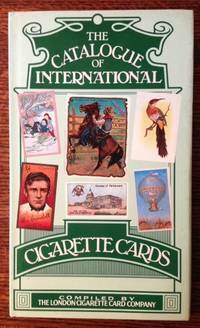 A lovely copy of the 1989 1st edition. Clean and Near Fine in a bright, Near Fine dustjacket, with just a touch of creasing to the panels. Tall octavo, beautiful color plates thruout, 439 pgs. 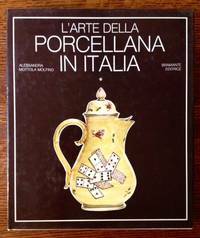 Bramante Editrice, 1976. Cloth. Fine/Fine. A pristine copy of the 1976 1st edition of Vol. I. only: "Il Veneto e La Toscana". Clean and Fine in a bright, Fine dustjacket. Tall quarto, hundreds of crisp black-and-white (and vivid color) illustrations thruout. Text in Italian. Paris: Baschet et Cie, Editeur, 1966. Cloth. Very Good +/Very Good +. A solid copy of the 1966 1st edition. Tight and VG+ (with very light offsetting along the panel edges) in a bright, VG+ dustjacket, with several small closed tears --and very light soiling-- to the rear panel. Tall quarto, "24 plates in color, 164 illustrations in heliogravure, 40 gravures and illustrations in offset on 'papier teinte'"
Paris: Editions du Regard, 1991. Cloth. Fine/Near Fine. A beautiful copy of the 1991 1st edition. 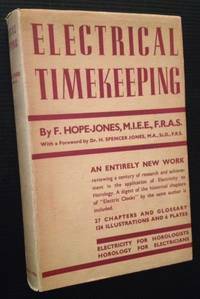 Clean and Fine in a bright, Near Fine dustjacket, with just a touch of creasing to the spine crown. 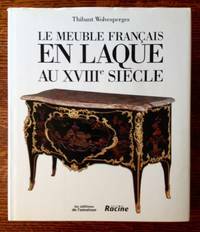 Tall quarto, 1 of only 150 copies, text in French. 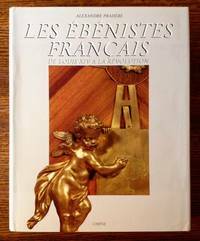 Paris and Brussels: Les Editions de l'Amateur/Editions racine, 2000. Cloth. Near Fine/Near Fine. A crisp, very nice copy of the 2000 1st edition. Tight and Near Fine in a bright, Near Fine dustjacket, with just a touch of creasing along the panel edges and spine crown. Thick quarto, beautiful color and black-and-white reproductions thruout.